You know what cats and email have in common? Well, they’re both all over the Internet and both have nine lives (pun intended). Email has been around for over 30 years, but most marketers are still using it to generate b2b sales leads and business appointments. Integrate email campaign with other lead generation tools such as b2b telemarketing, online, and social media. Add links, videos, or social media buttons to make your campaign more interactive. Check emails for spam elements. 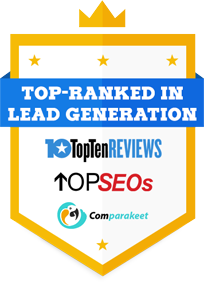 Build and segment your email list for highly targeted lead generation and appointment setting. Provide advanced options to help you customize, organize, and optimize your email marketing campaigns. Get your message straight to your prospects’ inboxes by outsourcing your email campaign to professional email marketers at Callbox.